Perfect World Entertainment and Motiga has just announced the next upcoming Closed Beta event for the online shooter MOBA hybrid, Gigantic, as they prepare to invite another wave of players later this month. The next Closed Beta event for Gigantic will be taking place later this month, October, and will run through a long weekend to give players the opportunity to sample the latest content and provide feedback on the games various fundamental features and mechanics. Arc, Windows 10 and Xbox One users who have previously unlocked the game will be able to jump in and play on Thursday, October 20th with the event continuing to run through until Sunday, October 24th. Players can expect 4 heroes freely available to all with an additional 4 unlocked randomly for each player. A single map, Siren’s Strand will be featured as well as the lifting of the NDA – meaning players are free to share screenshots, videos and content via YouTube and Twitch. 4 Random Heroes: Every player will have an additional four heroes randomly unlocked on their account. 0 NDA: Screenshots, streaming, and video are encouraged! 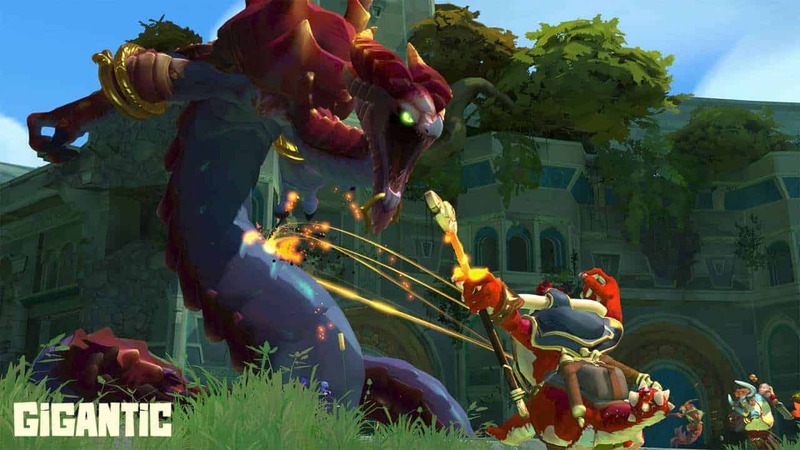 For the duration of the Closed Beta event Gigantic will also be hosting a Twitch streaming schedule where players can speak with the developers and interact with other members of the Gigantic community.